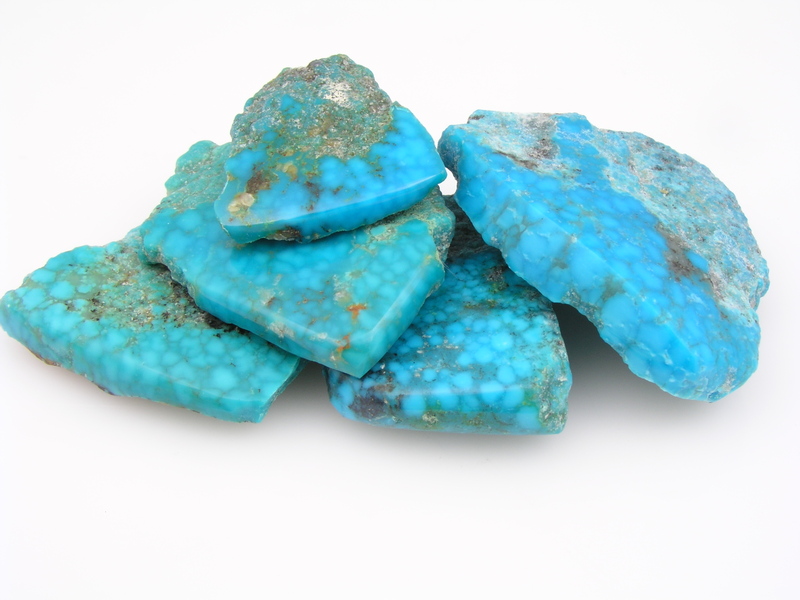 We have been busy creating new sterling silver jewelry with our newly acquired turquoise and just received another shipment of outstanding turquoise to work with. 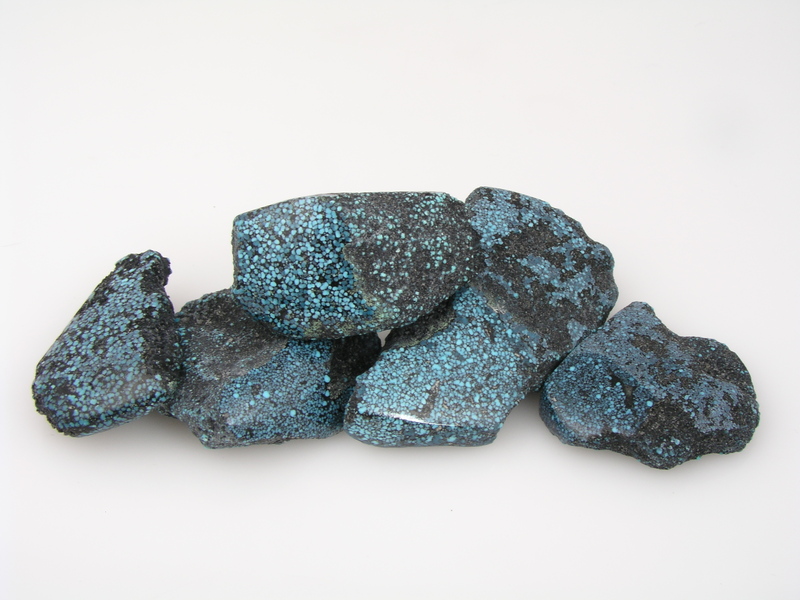 One batch is a very nice spiderweb turquoise in bright blue with a very tight black matrix. 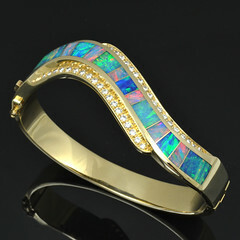 The webbing is formed when iron oxide fills the cracks and voids in the turquoise. In spider web turquoise the webbing follows no set pattern or strand width, ranging in color from reddish-brown to black. We have inlaid the new spiderweb turquoise with several complimentary stones including plain turquoise, dinosaur bone, Australian opal and our new “birdseye” turquoise. 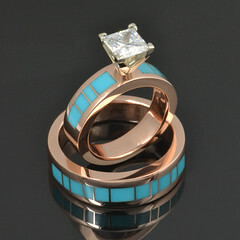 See the new turquoise ring! The other batch is birdseye turquoise. 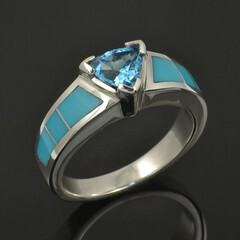 “Birdseye” turquoise is usually light blue with darker blue matrix circling some of the light blue areas. The pattern created by the two colors resembles the eye of a bird. The birdseye is a little more subtle than the bold spiderweb turquoise. Here is a photo of a few pieces of rough birdseye. You can see the beautiful birdseye pattern even in the rough pieces.